Nothing shows off your personal style quite like a statement pendant, and we have the dragon pendants and charms to help give your look a boost of fantasy style. 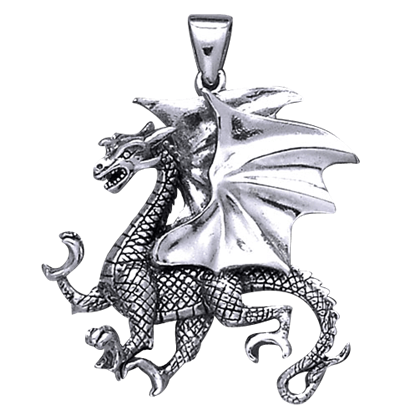 Intricately detailed and ranging in subtle artistry to fantastically imagined, our dragon pendants and charms are made of high quality materials, including fine pewter, sterling silver, and white bronze. These dragon pendants are ready to be worn on your own favorite chain or cord, making them perfect for incorporating into your favorite looks, both everyday and formal. 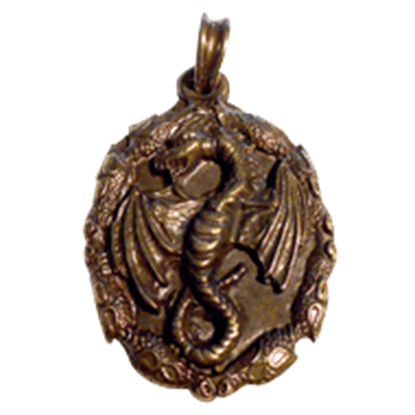 Shop fantasy dragon pendants as well as dragon Celtic knotwork pendants here. We carry dragon pendants that make use of clever detailing or jeweled accents to create fantasy jewelry pieces that are sure to stand out however you wear them. Practitioners of the Dark Arts often need a focus for their magical powers. This focus can be anything from a skull to a charm. 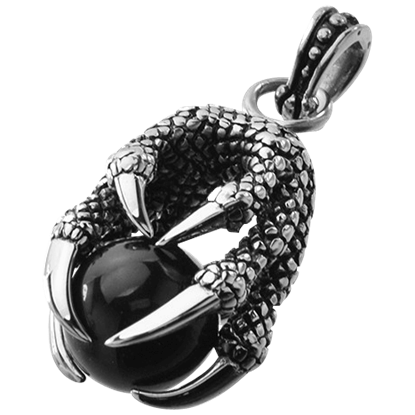 The Black Marble Dragon Claw Pendant is a fine example, as its Wiccan style lends it a magic aesthetic. According to the Celts, dragons are the guardians of earth and the other realms, making them one of the most powerful creatures in the world. 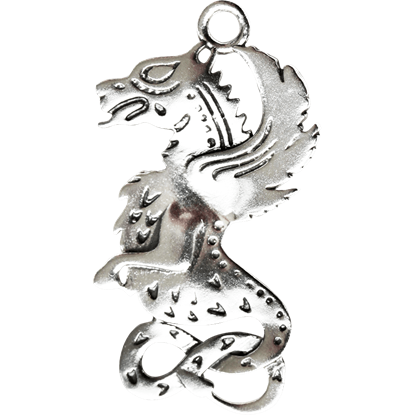 With the Celtic Dragon Charm, you can sport the strength and secrecy of these mighty wyrms. 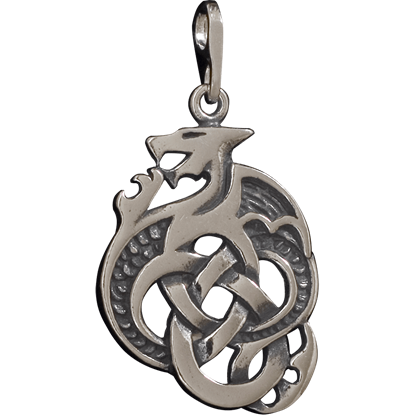 Combining fantasy and ancient inspirations, the elegant Celtic Knotwork Dragon Pendant is a great accent piece. 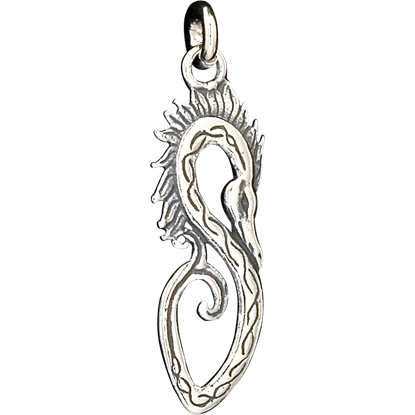 This stylized dragon pendant has been enhanced by a Celtic design, which creates a traditional but modern jewelry item. 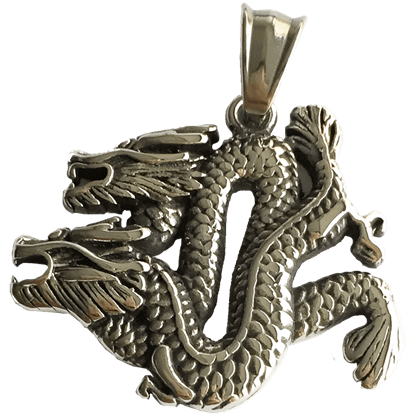 You can embody the ferocious power of the dragon with the Clawing Dragon Silver Pendant. Not only will it add the strength of the dragon to your look, but it will also add some fantasy to your style as well. The Double-Sided Celtic Dragon Pendant combines fantasy with ancient artwork. This elegant piece of jewelry is crafted into a creature of fantasy and then decorated with a rich designs inspired by Celtic patterns. 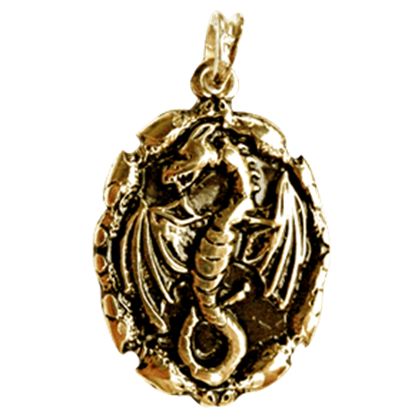 This fantasy pendant features a regal dragon with his wings spread wide open. Dragons are one of the most popular symbols known to mankind. They are full of legends and myth, but did they exist and were they real fire breathing animals? 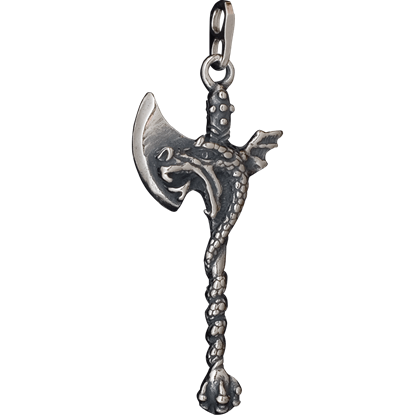 The Dragon Axe Pendant has an intimidating and fashionable look that will easily compliment any outfit your wear it with. Introduce some fantasy and danger into your wardrobe with this dazzling and unique piece of jewelry. 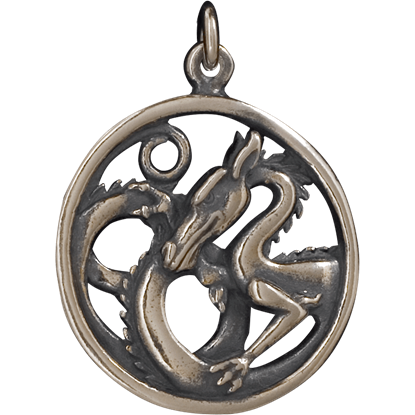 Now you can capture the myth for yourself, with the stunning Dragon Circle Pendant. Easily recognized by fantasy enthusiasts, this pendant will make you the topic of conversation while attending your next social event. In certain cultures, dragons are powerful and lucky creatures, bringing strength and good luck to those who are worthy. 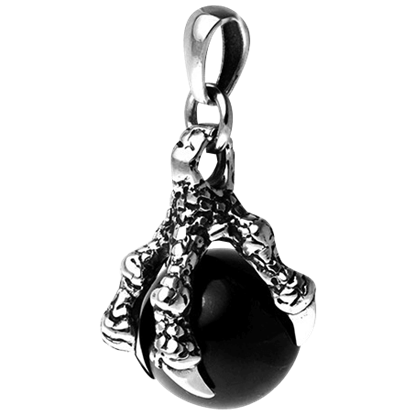 The Dragon Claw Cage Pendant incorporates draconic imagery in a Wiccan pendant to use in luck bringing spells. 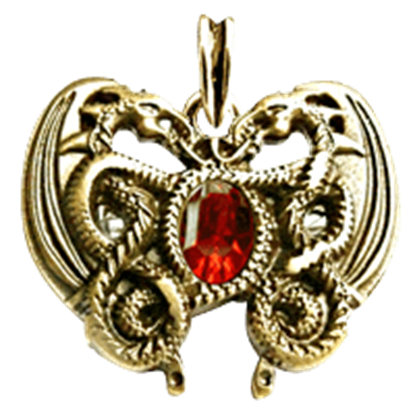 This fantasy pendant features a two dragons intricately intertwined around a red simulated jewel. Dragons are a popular symbol and our Dragon Heart Pendant is perfect for any occasion, as it can be worn by men or women. Harmonious in both their bodies and souls, these bonded dragons fly together through thick and thin. The Dragon Lovers Totem Pendant is a remarkably detailed stainless steel jewelry piece depicting this mythical couple in flight.